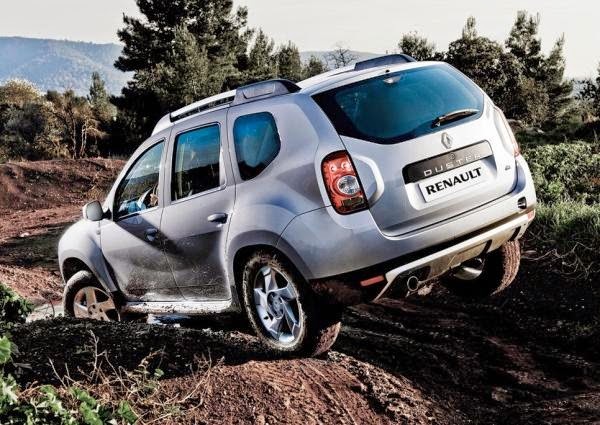 Renault is all geared up to launch an all wheel drive Duster SUV in India by September this year. The 4x4 Renault Duster will be available in only top end diesel variant unlike in international markets where both petrol and diesel variants are available under the name of Dacia. Renault Duster4x4 will be powered by 1.5L K9K 110 Bhp diesel engine coupled to a six speed manual transmission which powers all the four wheels. Three modes – 2WD high, 4WD low and 4WD high will be on offer. The new Duster 4x4 is likely to get all the equipments as on the top RXZ diesel variant which includes a touchscreen infotainment system, steering-mounted controls, 2-DIN stereo system, rear air-con vents, keyless entry, rear parking sensors, ABS with EBD, emergency brake assist and dual SRS front airbags. Duster 4x4 will be priced at a premium of Rs. 80,000 to Rs. 1,00,000 and will compete with Tata Safari and Mahindra XUV500 in Indian market.